Please note that this event is now taking place at Bedworth Civic Hall. 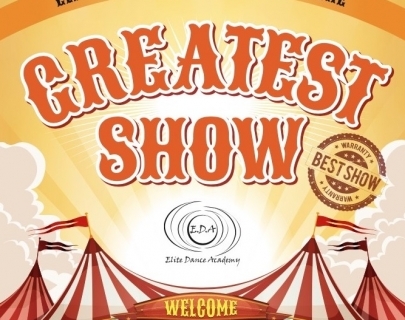 Due to unforeseen circumstances Greatest Show by Elite Dance Academy on Sat 21 & Sun 22 Jul 2018 will now take place at Bedworth Civic Hall. 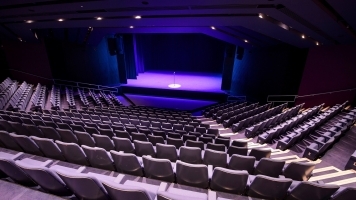 This has been caused by an unavoidable delay by building contractors on the Theatre at Warwick Arts Centre as part of the Warwick 20:20 Project. We have worked with Bedworth Civic Hall to ensure the event will take place with minimal disruption. All current ticket holders will receive new tickets in the post for Bedworth Civic Hall in the next few days. Where possible we have tried to ensure that customers will receive a like for like ticket. Elite Dance Academy are delighted to be hosting their fifth annual Summer show back at the Warwick Arts Centre, showcasing all dance styles from Tap & Ballet, Irish and Street to Musical Theatre and Acrobatics. This fun, family show will showcase all Elite Dancers from ages 2+.